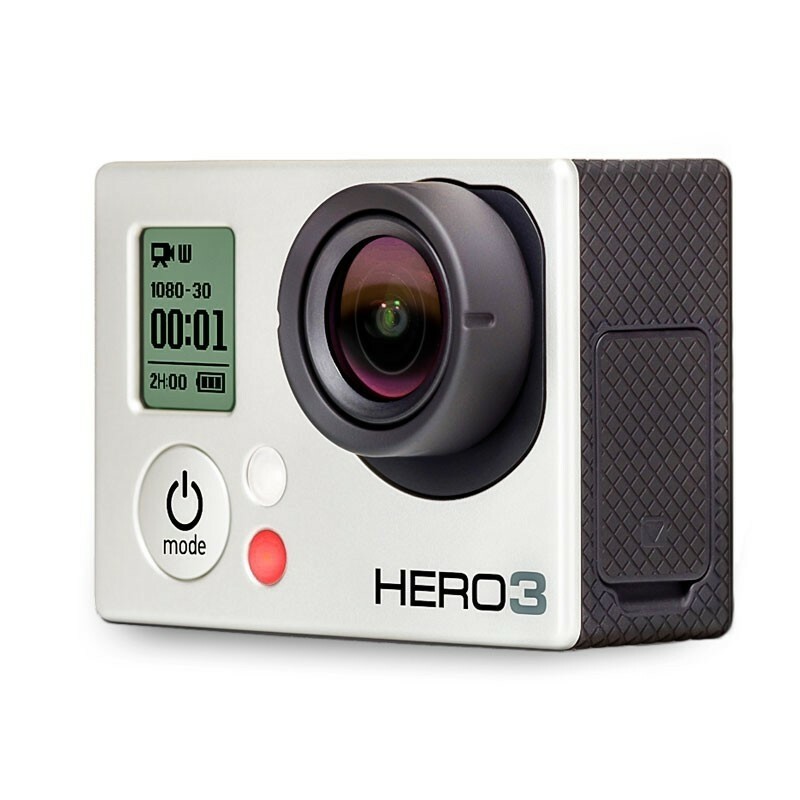 The GoPro Hero 3 Silver Edition is 25% lighter & 30% smaller as it has a reduced thickness with a new depth of only 20mm when compared to the previous-generation GoPro Hero 2's camera. The GoPro Hero 3 Silver is still compatible with the "BacPac" add-on modules. This kit includes the waterproof housing, battery and a range of basic mounts. The new f/2.8 six element aspherical lens on the GoPro Hero 3 Silver helps to reduce the barrel distortion and increases the image sharpness over two times that of the GoPro Hero 2. The Gopro 3 has a 10 second photo burst which means that you can capture 10 photographs in just one second! 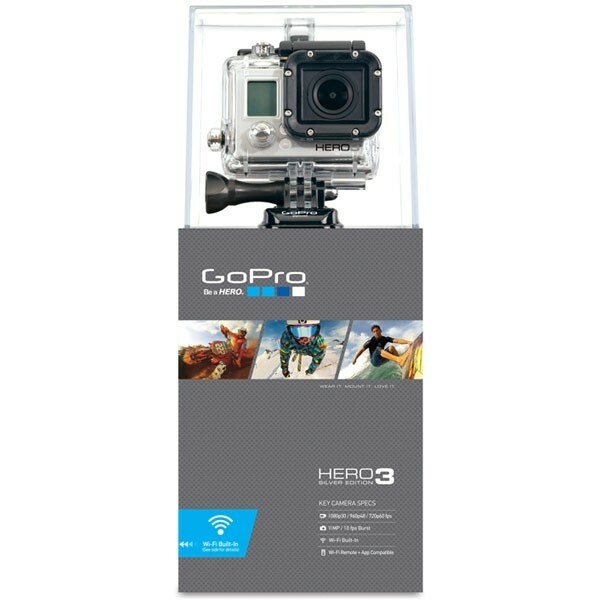 The GoPro Hero 3 Silver Edition camera also has a built in Wi-Fi, this means that you can connect you camera to the Wi-Fi remote control (not included with silver edition) from up to 600 feet away, and this feature will also allow you to connect your camera to the GoPro app on your smartphone or device. The app will allow you to control the camera, play back your recordings and allow share your content cable free!